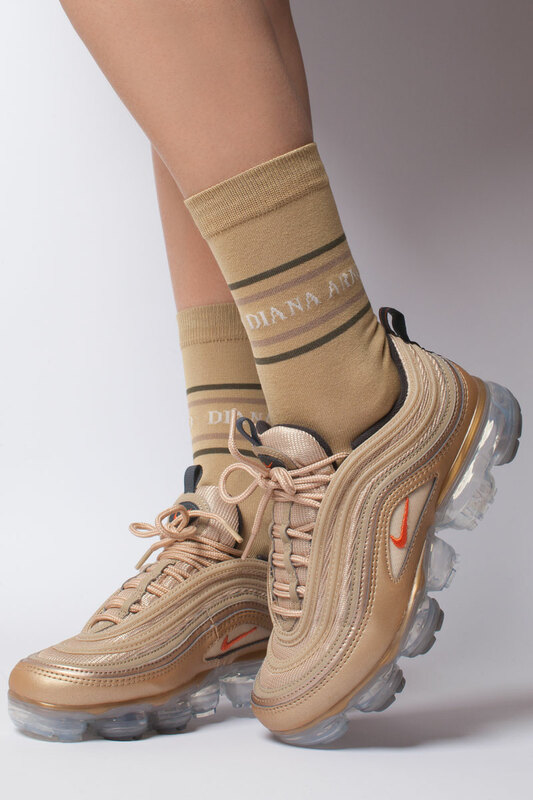 Socks with DIANA ARNO logo in sandy beige. This pair may be inspired by sportswear, but it doesn’t mean you only have to team them with trainers. Made from premium quality mercerised cotton (read: more comfort, less of those awkwardly stinky situations), these socks do not wear off or lose their colour for a surprisingly long time. Just put your little feet inside them and enjoy! NB! Designed to be seen: keep yours visible by wearing sandals or ankle boots. Available in ONE SIZE only and suitable for all between sizes 36 to 40.